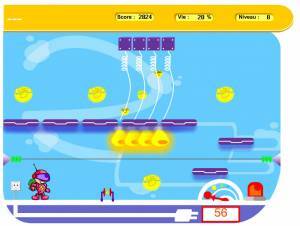 Technocity : informatique et électronique (Robot Goal / SOS Atomic)	Julian Alvarez (ja.games) (France), Education Nationale / Jayisgames.com (France), 2007 Play it Now ! 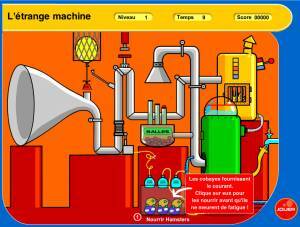 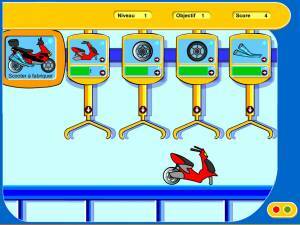 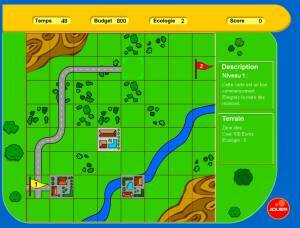 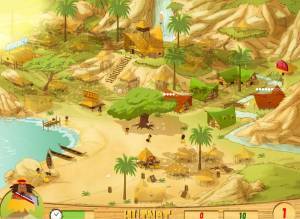 "This game, created for the french governement, is distributed into public school. 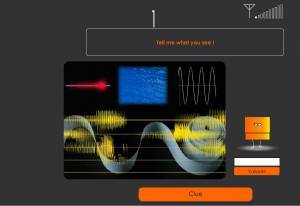 It shows teenagers jobs related to computer and electronics, and promotes them so the students may be interessed in doing career into these job." 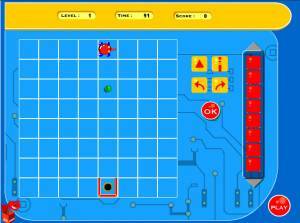 Puzzle game: the player has to program a robot in order to collect spheres ant to bring them on displays.